In a medium mixing bowl, thoroughly mix brown sugar and cinnamon. Evenly place the sugar mixture over both sides of the pineapple slices. Place pineapple slices onto grill and cook for 3 minutes on each side or until they are soft and juice has begun to drain out of them. Remove pineapple slices and set aside, but do not remove the pineapple juices from the grill. Place pound cake slices on grill and allow to cook for 1 minute on each side. 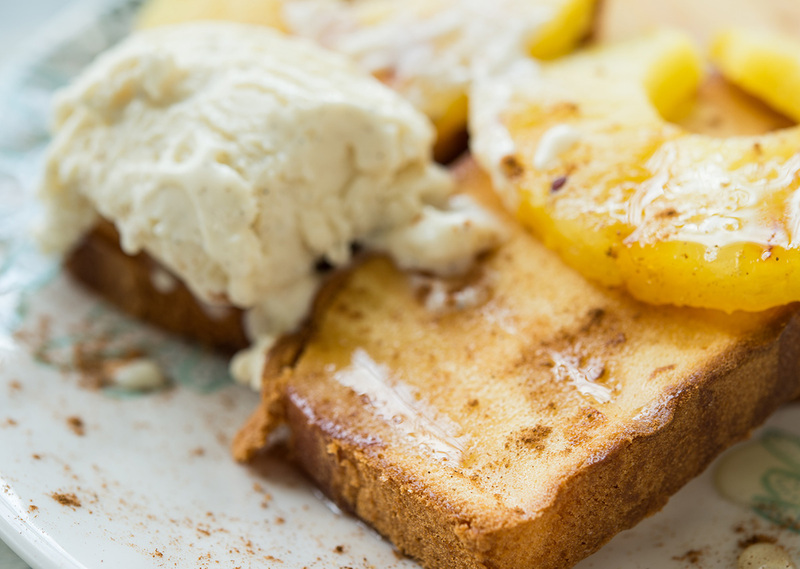 Remove pound cake from grill and place pineapple slices on top and serve!